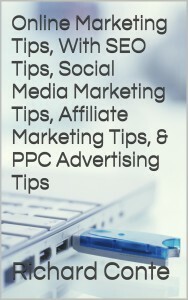 Below is an excerpt from our eBook, the first chapter of the Online Marketing Tips eBook from SEO Writer Pro, which is now available at a reduced price at the Kindle Store. For Whom Do We Create Online Content? Posted in What we do	| Tagged affordable seo articles, affordable seo writer, online content writer, online content writing services, SEO Writer, seo writing, web content, Web content writing, writers, writing services	| Comments Off on For Whom Do We Create Online Content?